Knesset members from the left blast Bennett and Shaked plan to rein in the Supreme Court. Leftist Knesset members were outraged on Thursday evening at the proposal made by Ministers Naftali Bennett and Ayelet Shaked, aimed at reining in the Supreme Court and imposing constitutional limitations. "It is not a constitution they seek but rather the destruction of democracy and the Supreme Court. 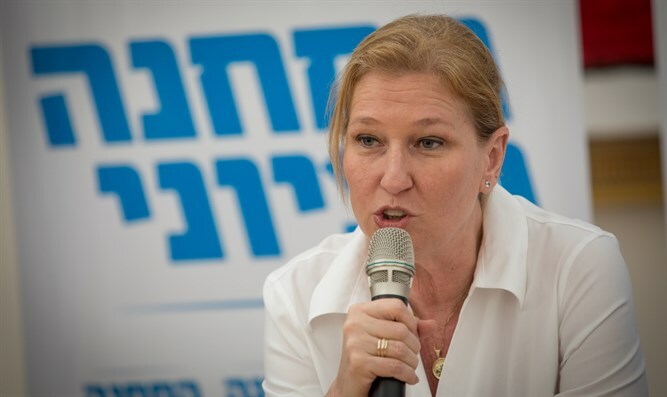 We have to stand up to the D-9 of the Jewish Home,” said MK Tzipi Livni (Zionist Union), referring to a controversial Facebook post made by Jewish Home MK Motti Yogev in 2015, in which he called for the Supreme Court to be leveled with a D-9 bulldozer after the Court ruled that homes in Beit El would be torn down. MK Revital Swid (Zionist Union) said that "under the guise of a balance between authorities, Bennett and Shaked continue their efforts to destroy the rule of law in the State of Israel." "Using a consistent process, they trample the rule of law in order to pass anti-democratic legislation. Instead of arranging rules that would enable the Knesset to prevail over the Supreme Court, it would be better if they stop their unconstitutional legislative attempts,” she added. MK Nachman Shai (Zionist Union) said, "It is not a constitution that Shaked and Bennett seek. They seek to paralyze the Supreme Court in Israel, thereby violating the balance between the authorities, especially so that they can continue to go wild and erode the democratic foundations of the State of Israel." "They refuse to accept the decisions of the Supreme Court and are willing to trample the Supreme Court in return for any change that will benefit them politically. Where are the logical partners of this coalition? The time has come for Minister [Moshe] Kahlon to raise the flag and put an end to this. They cannot be allowed to destroy the state," Elharar added.